Please use the contact form at the bottom of this page to inquire about organising a Soccer Italian Style Coaches Clinic for your club or organisation. 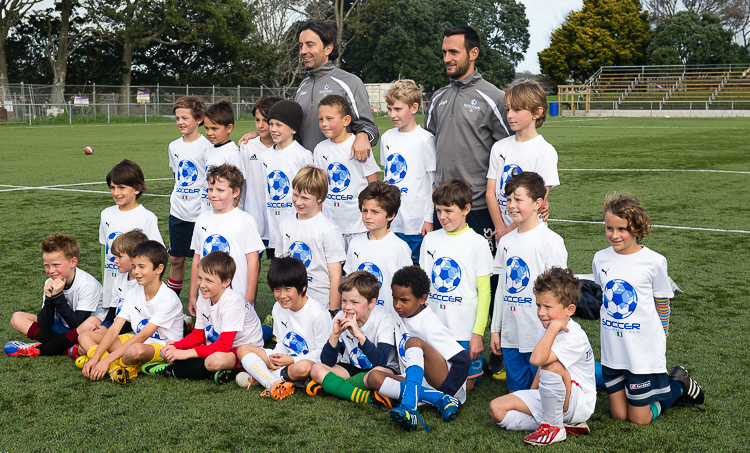 For years Soccer Italian Style has organized coaching clinics for coaches involved with players aged 5 to 18. The clinics are structured by alternating classroom time, aided by video clips, with on-field practical sessions. During the practical lesson young players of the organizing soccer club, are used for the demonstration of the exercises, paying particular attention that the appropriate age group is used based on the topic of the lesson. This element allows the coaches attending the clinic to observe directly the methodology and rapport between player-instructor proposed by Soccer Italian Style. It also allows the young players to experience dynamic competitive and intense sessions. During the classroom session the instructors use various video clips from the Soccer Italian Style DVD’s or directly from the training sessions of the professional clubs where Mirko and Simone have worked in the last 10+ years. Many other themes that from time to time it is possible to design based on specific needs and requirement. The coaching clinics of Soccer Italian Style are highly informative because they include an in-depth theory element in classroom, with the aid of various video clips from actual training sessions and from the DVD’s produced by Soccer Italian Style, and a practical element on the field where the instructors and coaches can observe the working methodology.